Choosing the diesel option can often mean paying a premium over the petrol version, so does that mean you’ll be hit in the pocket when it comes to getting insurance cover? Not necessarily, as we’ve found with this top 10 picks of affordable premium diesels. 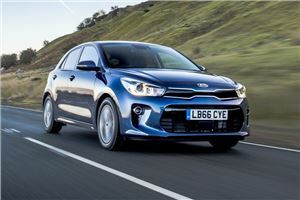 They also prove you don’t have to limit yourself to the smallest cars, the most basic specification or certainly not models with the fun has been stripped out to make them insurance-friendly. Looking to save? We have a full guide on getting cheap car insurance. The most affordable car to insure in our line-up is also one of the most competent. It really is very hard to find fault with the Rio as it does almost everything either well or brilliantly. It’s light and smooth to drive, compact for town use and still feels at home on the motorway thanks to the diesel engine’s strong pull. Inside, there’s good space front and rear, a decent boot and it’s all put together in a very solid fashion. On top of that, you also get Kia’s splendid seven-year warrant as standard. 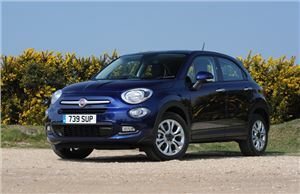 Not every attempt by Fiat to stretch the idea of the 500 has been a runaway success, but the 500X gets away with it. This compact crossover is easily a rival for the best in class, though to keep it insurance-friendly means sticking to the 1.3-litre diesel. Still, that’s no hardship as it has strong lug from low revs and returns 68.9mpg and 107g/km. In this Pop trim you get a downy-soft ride as it avoids the larger wheels of some versions. The only real demerit is the cramped rear legroom in a car aimed at family buyers. 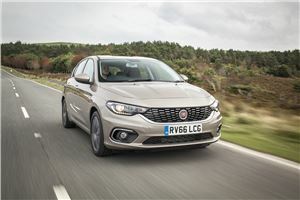 It’s little wonder the Fiat Tipo makes an early showing in this list of the most affordable diesels for insurance: it’s very keenly priced. Not only that, you get the advantage of a small hatch at supermini money, though it’s easy to spot where some of that cash has been scrimped in the quality of the cabin plastics. If you can live with that, the 76.3mpg combined economy and 99g/km CO2 emissions provide financial succour. You also get a reasonable level of standard equipment for the cash, if not quite as much safety gear as some pricier rivals offer. 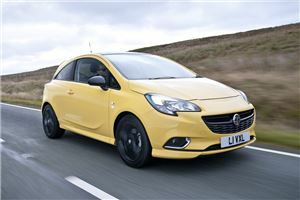 ‘Refinement’ was the watchword when Vauxhall was coming up with this current generation of Corsa. By and large, it’s kept to that mission statement with a supermini that feels just as at home on the motorway as it does around town. It rides with a calm deportment, though the steering doesn’t offer up much in the way of feel. The 1.3-litre is the least powerful diesel option, but conducts its business in a generally hushed manner and is best when cruising. Drive it with some moderation and you’ll also get close to the official 72.4mpg combined economy. 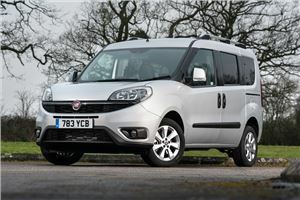 It’s easy to forget the Doblo exists in the Fiat range when the Italians have concentrated most of their efforts on cutesy retro models in recent times. No looker, the Doblo does offer masses of passenger and parcel space thanks to its van origins. It’s still strictly a five-seater, but that does mean the boot is immense. Fold the seats and it will swallow almost twice as much as a Mercedes E-Class wagon, and you won’t worry about scuffing the carpet in the Fiat. 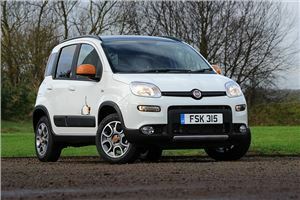 There’s a toddler-like simplicity to the Fiat Panda 4x4. Maybe it’s the almost cartoonish outline of its shape or the tippy-toes stance, but it’s endearing and enduring thanks to its rugged ability. Unless you really need the full ability of a Land Rover Discovery, the Panda will take you most places without ruffling its Italian tailoring. The diesel is the one to have thanks to its gutsy shove that works brilliantly off-road with the low-geared first cog in the ’box. It’s also far more likely to deliver on the promise of its 64.2mpg combined economy than the petrol-powered TwinAir version. If this were the previous Micra under consideration, we’d be questioning pretty much every reason for buying one. With this latest generation, it’s pretty much the polar opposite as Nissan knew it had to pull this one out of the fiery damnation the old model was mired in. The result is a sharp looker that drives really well, has a well finished, airy cabin, and even the lowest order versions come with auto emergency braking, lane departure warning and lane keep assist. 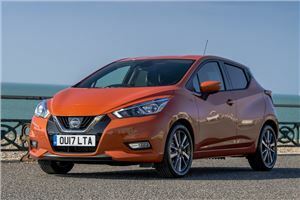 Those features also help account for the affordable insurance ranking of this fine supermini. Dacia’s keep-it-simple approach has really panned out for this Romanian off-shoot of Renault. 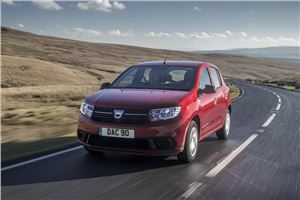 The Duster broke the ice and the Sandero carries on the good work by offering a small hatch-sized car at city car cash. Clearly, that means some corners are not so much cut as rounded off, so it’s not the last word in dynamic satisfaction or refinement. But you know what? At this kind of money and with affordable insurance premiums, it’s a very acceptable way to drive. In Ambiance trim, you also get a civilised level of standard specification. Honey, I shrunk the MPV. Well, that’s alright, dear, because the Ford B-Max is just right for anyone who needs a versatile family machine but doesn’t want to go too large. Making the most of its interior space is aided be superb access thanks to the sliding rear doors and lack of central pillar, which makes getting in and out of the back oh-so easy. 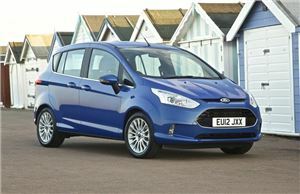 As it’s based on the last generation Fiesta, you know the B-Max will drive well and the 1.5-litre turbodiesel plods along easily while returning a combined economy of 74.3mpg and 98g/km. The first EcoSport was a rare dynamic stumble from Ford, but it’s gathered it up with the revised version that pitched up in mid-2015. As well as putting the ungainly rear-mounted spare wheel on the options list, Ford greatly improved ride comfort and general driving feel, though it’s still not as much fun to steer as some others in this sector. 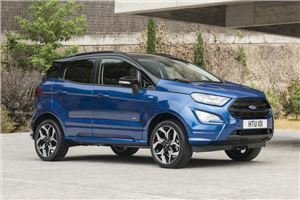 However, few rivals are as cheap to insure as the EcoSport and the 1.5-litre turbodiesel engine is happy nipping through town or mooching on the motorway. It’s no ball of fire, but 64.2mpg and 115g/km keep running costs under control.